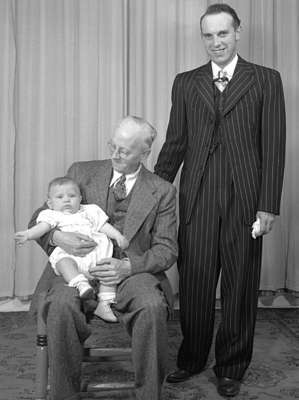 A black and white photograph of two unidentified men from the Moorehouse family in Whitby and a baby. Moorehouse Family - 3 Generations, June 1947, Marjorie Ruddy. Whitby Archives A2013_040_1225.